AVE is an organization focused on strategic socioeconomic issues on which the region needs to work on. Through discussion and communication, we aim to promote socioeconomic development, competitiveness and territorial integration of Valencia’s region. We identify and analyze our current challenges and try to create the right social and political conditions to turn these into strengths and opportunities, trhough dialogue and consensus amongst social leaders in our country. And we do so because we are convinced that in a complex, dynamic, changing and globalized society that we are living in, dialogue and negotiation shall prevail over conflict and confrontation. This website aims to be a mean of communication with society, regarding our activities, mission and goals. Thank you very much for visiting our page and we hope that our content is useful. AVE is a voluntary and non-profit association that was incorporated in the early 80’s, bringing together 100 of the most outstanding business leaders in the Valencian Region. We believe that the role of business people is essential to develop a territory and a prosperous, creative and democratic society. We are committed to inform and raise awareness amongst the society about the threats and opportunities that lie ahead as well as the weaknesses and strengths we are currently facing. For this, it is necessary to create opinion, dialogue and consensus amongst main political, economic and social actors in our region, and hence contribute to regional integration and the creation of an increasingly cohesive, flexible and creative society. EDEM (Entrepreneurs Business School) was born under the auspices of AVE, whose mission is to train business leaders, executives and entrepreneurs and to promote leadership and entrepreneurial spirit and the culture of endeavor. AVE co-founded the Grupo Economía y Sociedad along with similar organizations from other regions in Spain such as the Círculo de Economía (Catalonia), Círculo de Empresarios (Madrid), Círculo de Empresarios Vascos (Basque Country), Círculo de Mallorca (Balearic Islands), Círculo de Empresarios de Galicia, Institución Futuro (Navarra) and the Observatorio Económico de Andalucía (Andalucia). 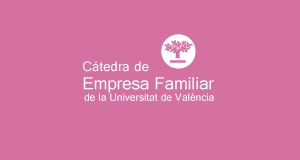 AVE represents the Institute for Family Business in the Valencian Region. 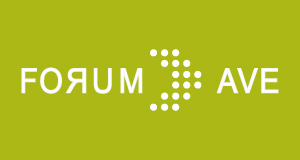 And we are active in the following organizations: Fundación Premios Rey Jaime I, Fundación Étnor, Cátedra de Empresa Familiar de la Universitat de València (CEF-UV), Fundación Pro-AVE, Fundación Profesor Manuel Broseta and Fundación Conexus. Improve the reputation of business leaders. And promote an economic and social development of quality and territorial and social integration of Valencia’s region and Spain. An advanced economy based on knowledge, ecologically sustainable and located on the first European level, and a society that acts values, an educated and cohesive welfare state. Territorial and social integration, credibility, competitiveness, sustainability, ethics, freedom and justice. Position our region prominently in Spain, the Mediterranean Corridor, and Europe.